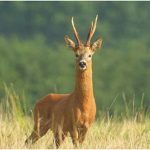 Enjoy Roe deer stalking near Hadrian's Wall in the beautiful countryside of Northumberland National Park, with all the facilities required and all skill levels catered for. 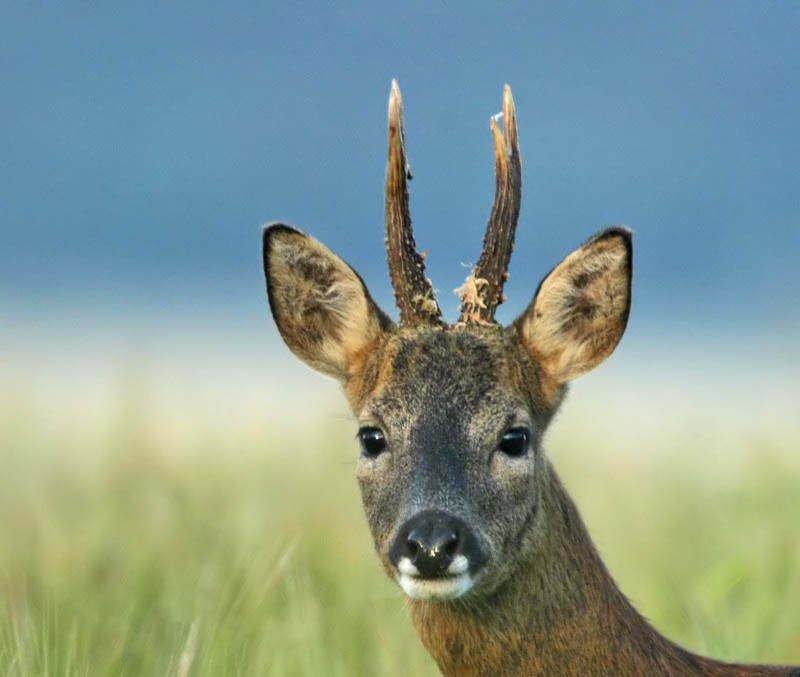 Traditionally roe deer stalking is carried out at dawn and dusk, although depending on activity and season, roe deer may change their normal activity and be seen during the day. Here at Greenlee, deer are managed in a variety of ways. It can be either on foot stealthily hunting the terrain or stalking from high seats where the stalker patiently waits and views the surrounding area for movement. By using this method often the most interesting movement and behaviour can be observed. 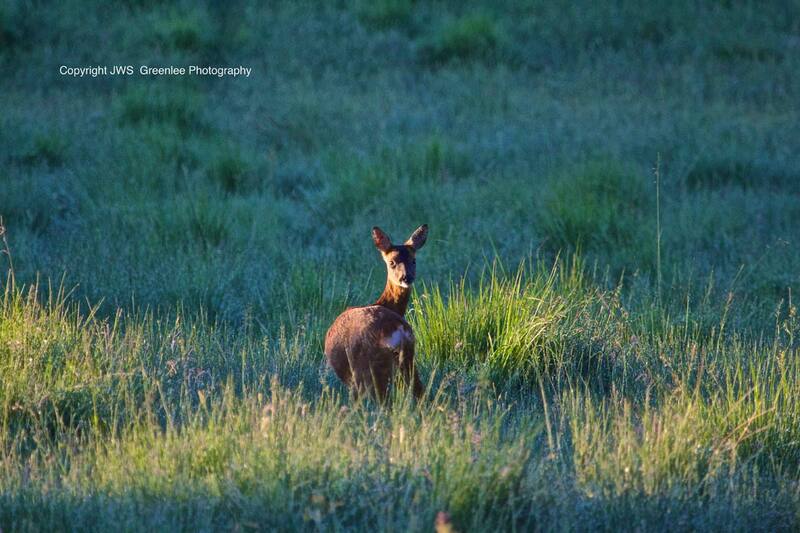 This is a favourite for the stalkers,photographers and observers of wild life who visit Greenlee. 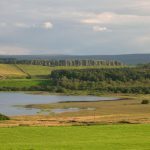 At Greenlee the terrain is mixed and can be tailor made to suit the guests capabilities. 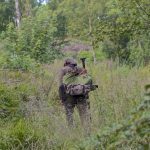 We are flexible and stalking is made available throughout the week and at weekends. 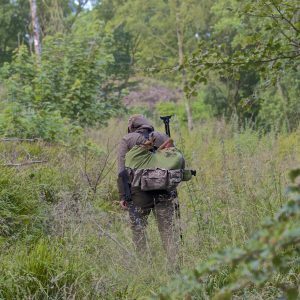 Stalking is carried out, accompanied by Jon as the guide. All skill levels are catered for. 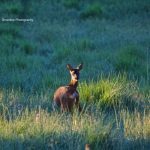 The guest does not have to own a rifle or possess a Firearm Certificate. The estate rifle facility can be made available. Novices to this exciting and challenging activity are welcome. The guest does not have to own a rifle or be in possession of a Fire Arm Certificate. The estate rifle facility is freely made available. 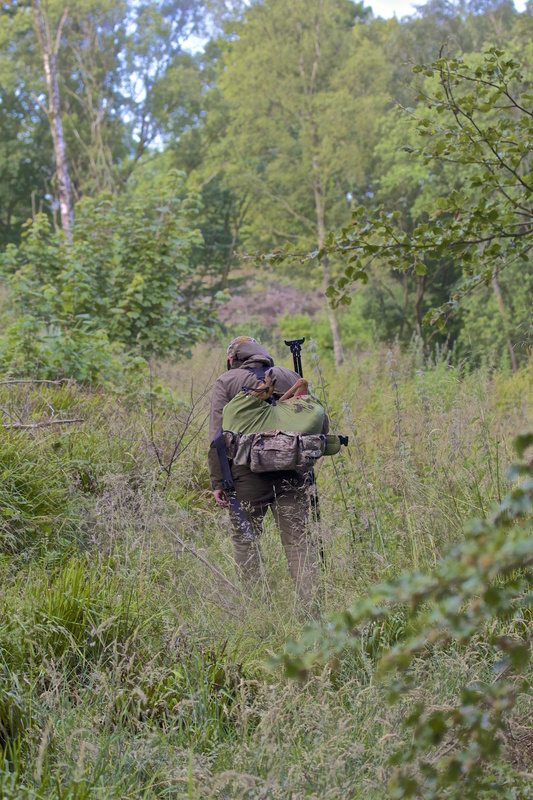 There is no shortage of challenging stalking for the more experienced stalker. At Greenlee we have bred our own English Springer Spaniels and chocolate Labradors for many years. Our dogs are all pedigree registered under the kennel club name Sweetrigg. 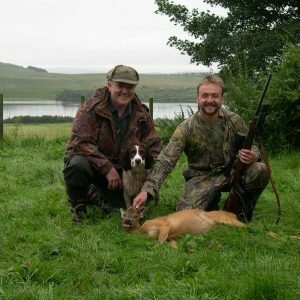 The dogs are trained by Jon specifically to accompany deer stalking and are used in the unusual circumstance of a follow up on culled deer being necessary. We currently have four dogs in various stages of training: Mollie, Bess, Dill and Alfie. 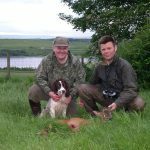 Many of the dogs we have bred are enjoying active lives in the shooting sports community throughout the British Isles. Cost: £120.00 for a single outing of some 3-4 hours and often two outings can be completed in the day. 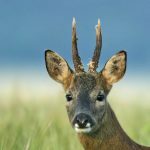 Roe buck season 1st April – 31st October. 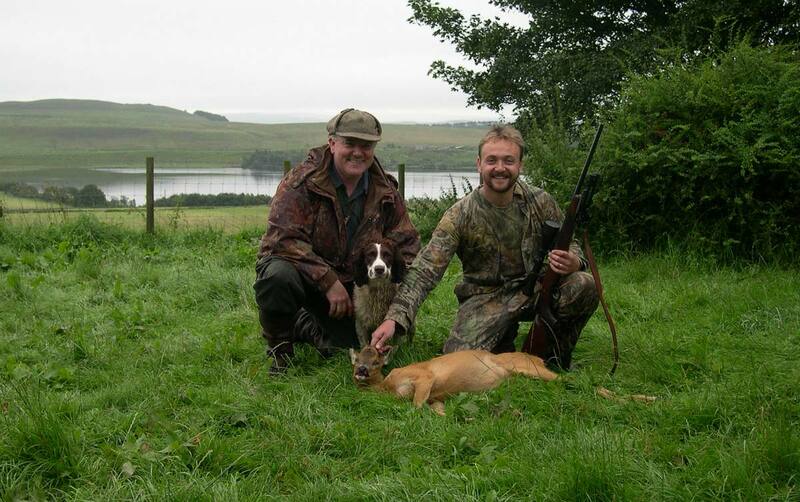 Roe doe season 1st November-31st March.